Snorkeling is an activity to be enjoyed by all the family. All our snorkel trips are guided and some snorkel trips can be combined with scuba diving so the whole family can stay together. The wrecks, walls, caverns and pinnacles in the Samana Peninsula are reported to be the best in the Dominican Republic and are just asking to be explored. From the deep blue waters of Cabo Cabron to the aquarium wreck in Samana, the spooky waters of famous Dudu Lake plus all the other sites on the Samana Peninsula. Are we going to see fish? This snorkeling tour is a delightful way to spend your day and is suitable for both beginner and experienced snorkelers alike. Explore the underwater wonderland of Samana at two prime snorkeling locations. The first spot is offshore the island of La Farola, where you'll see some corals, starfish, see eggs, trumpet fish and other tropical species. The second spot is the shallow wreck of a ferry which is a real aquarium, with shoals of fish, puffer fish, sergeant fish, damsel fish, parrot fish, porcupine fish and much more. The top of the ship is 1 meter / 3 ft. down and the deck is 6 meters / 18 ft. down with spectacular views from above. Then we go ashore to the famous Cayo Levantado (Bacardi Island) for a delicious lunch and chilled time on its white sand beach. Away from the crowds, some pristine snorkeling spots are waiting for you!!! Ask us about the custom trips we can organize for you. For certified divers, we offer a variety of dive sites all over the peninsula. We propose daily trips out. All our dives are guided by a certified dive leader, in active status. Most of the time, diving happens in the morning as the wind tends to pick up in the afternoon. We can quite easily organize multi-level dives where participants with different qualifications can be on the same boat but do the dives at different depths. On some of the sites, Samana especially, snorkelers are more than welcome to join us!!! The easiest way to schedule a dive is to get in touch with our booking specialist and we will review all the options together. With a third of the world’s surface covered by water, why not join the growing numbers of people wanting to see what our oceans, seas and lakes have to offer. The NAUI Tandem Scuba Dive is a premiere, private, one-on-one scuba diving experience for those who are interested in exploring our underwater world for the first time or you are on vacation and just want to dive. With a one-to-one participant-to-Instructor ratio, NAUI Tandem divers receive 100% of the Instructor’s attention throughout the experience. Highly recommended in Samana Bay, where you can dive on a shipwreck, or by Ballenas islands in calm weather. Las Terrenas dive sites are accessible by boat (15 to 25 minutes boat ride) and offer a variety of dives suitable for all levels and interests. Boat usually departs at 8:30 am and returns around 1 to 2 pm after a double tank dive. Most of the diving in Las Terrenas takes place from small to medium speedboats (8 divers max). If the minimum number of participants is not reached, you will have the choice between an alternate date, an alternate site, or a full refund. For non-certified divers possibility to do a try dive from the beach or on some of the shallower sites. This tour is a delightful way to spend your day and is suitable for both beginner and experienced divers and snorkelers alike. Explore the underwater wonderland of Samana at two prime snorkeling and diving locations. Then we go ashore to the famous Cayo Levantado (Bacardi Island) for a delicious lunch a Pina Colada and chill out time on its white sand beach. No qualification required - open to all. Laguna Dudu, also called the blue lake, is a great destination for a day excursion for divers or just day trippers. Located close to Cabrera, on the North Coast of the Dominican Republic, the cenote or sink hole consists of different lakes with crystal clear fresh water, interconnected by different tunnels making it a unique spot for divers. The lake dive is also quite impressive with trees laying underwater, a phantasmagoria experience, straight out of Harry Potter or Lord of The Rings, and gives the opportunity for great photo shoots. For the most adventurous, a zipline runs over the main lake, and the 10 meter jump is a great fun. The park has lots of grassy areas, which is great for sunbathing , chilling or looking at the wildlife, some hammocks and a volleyball court. Dives there are well worth the trip and amongst the best in the country. Most of the diving in Las Galeras takes place from small speedboats (6 divers max). Boat usually departs at 9:30 am from Playita beach in Las Galeras for a 10 to 40 minute boat ride and returns around 2 to 3 pm after a double tank dive. Or boat can depart at 7:30 am from Las Terrenas. It takes 1h30 minutes to reach the dive sites in this case. Day-trippers welcome as the beaches of Las Galeras are well worth the trip. What does the US Navy SEALs, Coast Guard and Kevin Costner have in Common? In the United States, US Navy SEALs, Coast Guard rescue divers and other special military forces are trained to NAUI standards as part of their overall training with open and closed circuit rebreathers; the US National Parks Service and the National Oceanic and Atmospheric Administration (NOAA) divers receive NAUI training and certifications. In dozens of nations around the world, countless police, fire & rescue personnel, government officials, public and private security teams; Olympians such as 1996 Decathlon winner Dan O’Brien, actors like Kevin Costner and “Sea Hunt’s” Lloyd Bridges, even characters from movies, sports teams and live entertainment are NAUI trained and certified divers. The very long list of NAUI members includes Olympians and professional athletes like world-class golfer Tiger Woods; world-famous actors such as China’s Mark Cheng, movie stuntmen and women, musicians and performers; well-known doctors, scientists, astronauts, aquanauts, business people and corporate leaders, politicians, statesmen, military leaders and even royalty. NAUI members are everywhere, in every walk of life, training and certifying the best divers in the world! The ideal introduction to Scuba Diving, especially if your leisure time is limited. It’s an all fun course with minimal classroom study and allows you to very quickly enjoy visiting the undersea world. Qualify you to 12 meters, always accompanied by an Instructor or Divemaster. Pre-requisite : Individuals ages 10+ and in good physical condition may enroll in a NAUI Passport Diver program. After completing a combination of classroom work, water skills and open water dives you will be confident and comfortable in the water and ready to explore the world beneath the waves. A whole new world of adventure will be open to you. Qualify you to 18 meters. 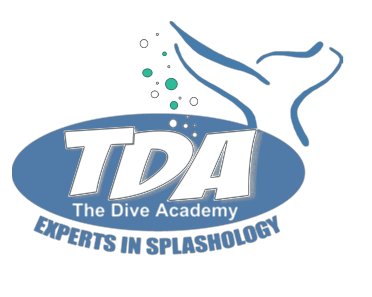 The Advanced Scuba Diver course is for certified divers who desire additional training or orientation to a variety of diving sites and conditions. This course consists of 6 dives. 3 are mandatory (deep, navigation, night or low visibility) plus three additional dives based on your individual preferences and available options. Pre-requisite : Divers must be a minimum of 10 years of age, in good health and must be previously certified as a NAUI Scuba Diver or equivalent. This Specialty Course equips recreational divers with the knowledge and skills needed to effectively handle limited in-water problems, diving emergencies and to provide basic first aid. A strenuous but fun course. Pre-requisite : Divers must be a minimum of 15 years of age, in good health and must be previously certified as a NAUI Scuba Diver or equivalent. This certification is recognised as being the highest rated non professional certification in the world. Geared for divers wishing to further their education, this course requires a minimum of 26 hours course time – including at least 8 Open Water dives -and a final exam. It provides a greater understanding of scuba diving and is an excellent progression toward NAUI Leadership roles. Pre-requisite : Divers must be a minimum of 15 years of age, in good health and must be previously certified as a NAUI Advanced Scuba Diver or equivalent. Think you're fit to be a dive leader? FIT (Familiarization - Instruction - Testing) will test your skills and tell you where you stand in terms of your readiness to become a dive leader. During your DM training, you will learn how a dive operation works, develop your interpersonal skills and enhance your waterskills to that of a NAUI Assistant Instructor. During this challenging course, you will learn effective methods to teach NAUI scuba and skin diving courses in compliance with current Standards.